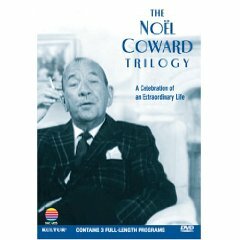 “It was a world being made for the Angry Young Men, not the Bright Young Things.” One of Noël Coward’s biographers on the world after WWII, speaking on camera in The Noël Coward Triology. This entry was posted in Elegantology and tagged Cary Grant: A Class Apart, Noel Coward Trilogy. Bookmark the permalink. One Response to And I Quote… .